Posted: September 22, 2017 in Sports Racers, Who,What,Where & When...? 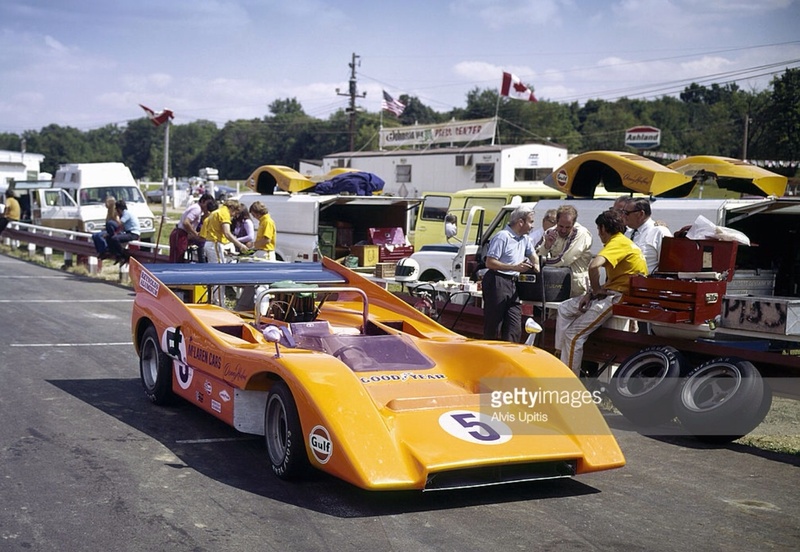 The alloy block Chev V8’s were 7.6 litres in 1970, the ‘Batmobile’ arguably the sexiest of the Can Am McLarens and certainly one of the most successful. 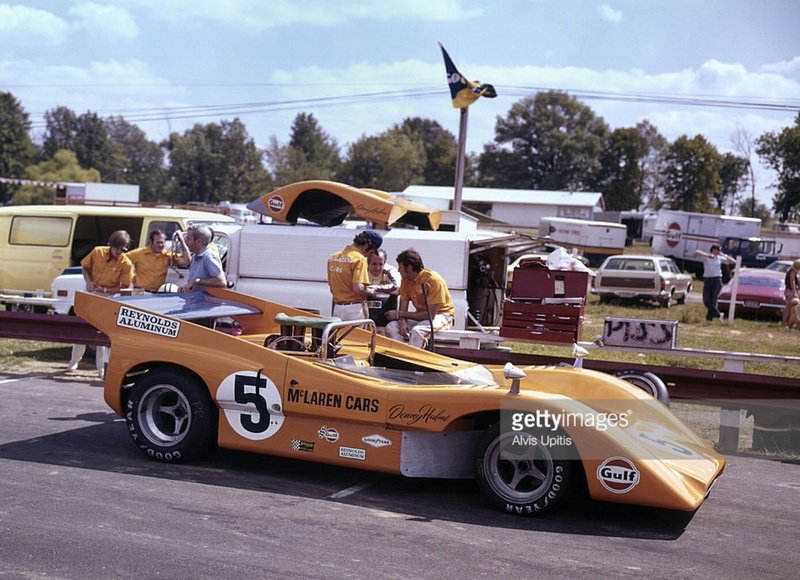 Denny won 6 of the 10 rounds and Dan Gurney another 2 before sponsorship conflicts brought to an end his drive which arose as a result of Bruce McLaren’s fatal testing accident aboard an M8D at Goodwood on 2 June 1970. Peter Gethin, Dan’s replacement won another round adding to the ‘papaya rout’. 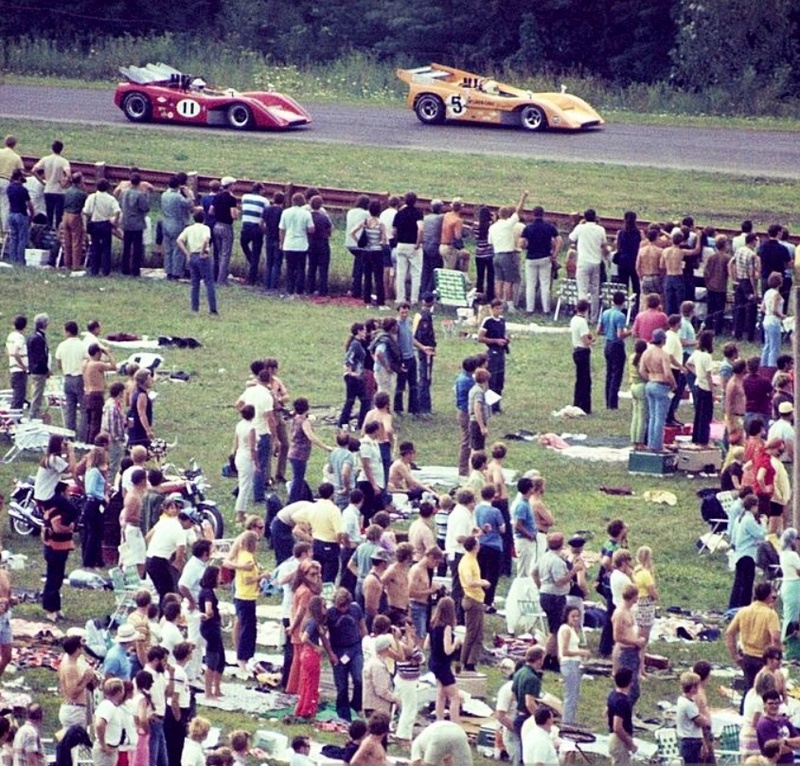 Hulme won the Mid Ohio round, the ‘Buckeye Cup’ from Peter Revson’s Lola T220 Chev and Lothar Motschenbacher’s ex-works McLaren M8B Chev, in the shot above Denny is ahead of Lothar early in the race. 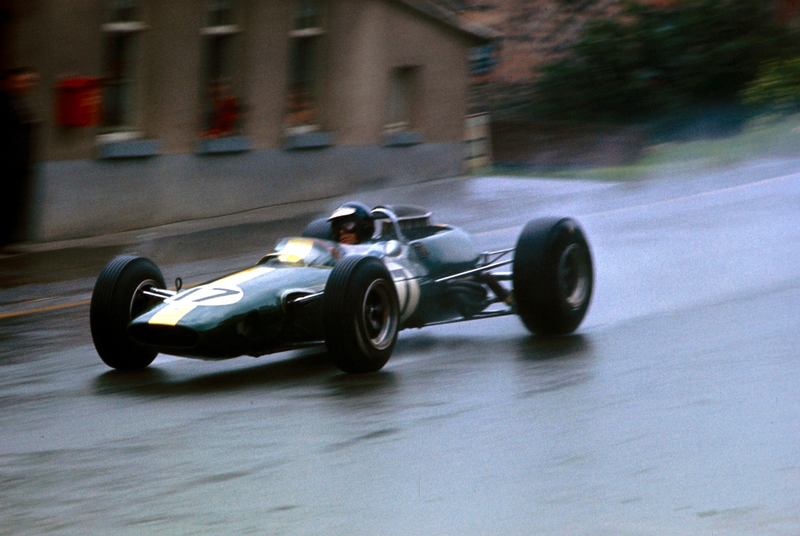 Posted: September 20, 2017 in F1, Obscurities, Who,What,Where & When...? 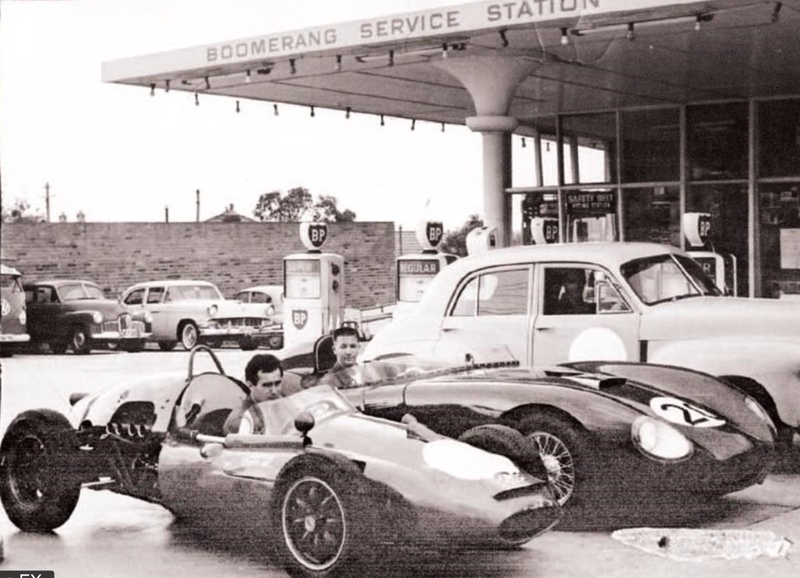 Joel Wakely’s Boomerang Service Station at Concord, inner-western Sydney was well known amongst Australian motor-racing aficionados by February 1962 as builders of one of the fastest ‘Appendix J’ Holden 48-215/FX sedans in the land peddled very hard by up-and comer Spencer Martin. 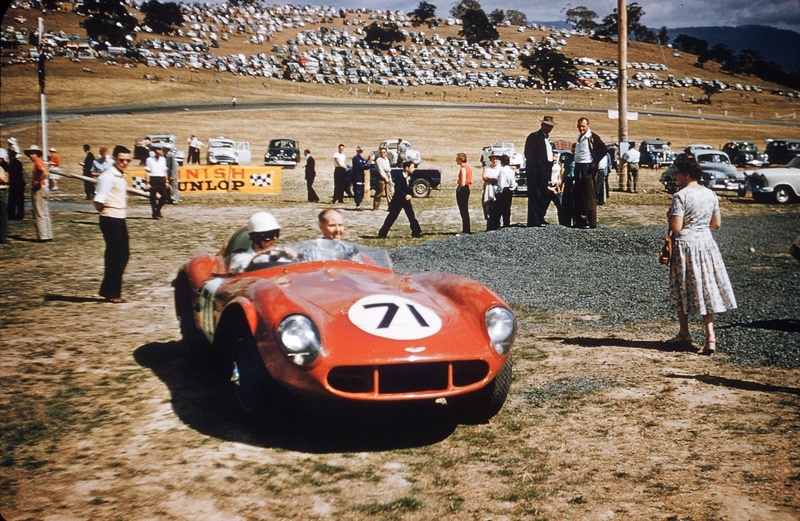 The car in the middle of the shot is the gorgeous Clive Adams designed Prad Holden sportscar styled along the lines of a Maserati 300S. 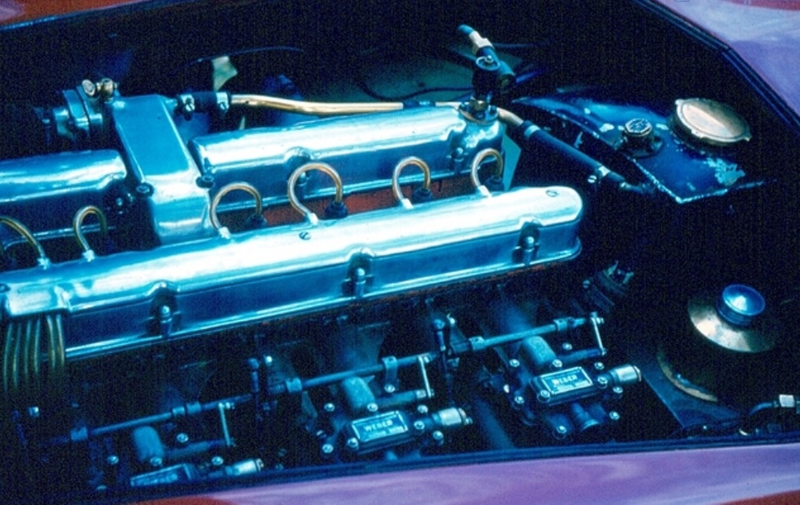 Jack Pryor built the chassis and Stan Brown it’s shapely body. 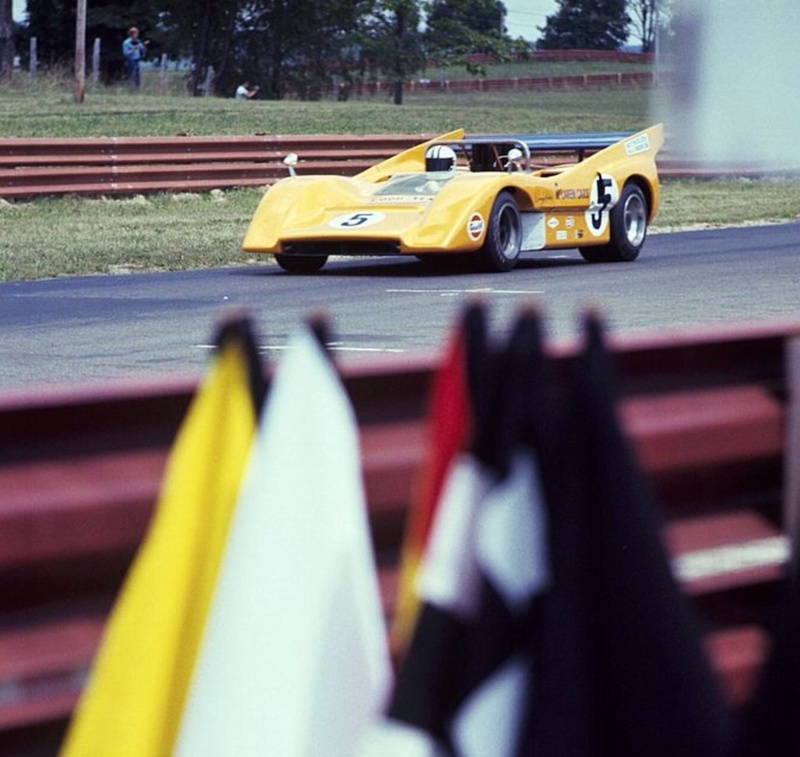 Spencer Martin bought, developed and raced the car successfully after Adams sold it. 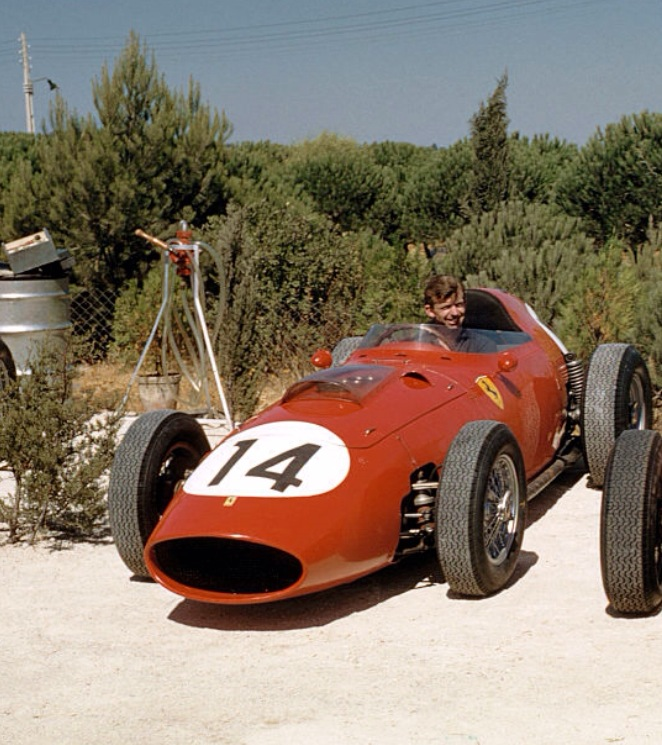 Centro Sud were not exactly renowned for the detail presentation of their cars but even so I thought Lorenzo’s car looked a bit tatty. 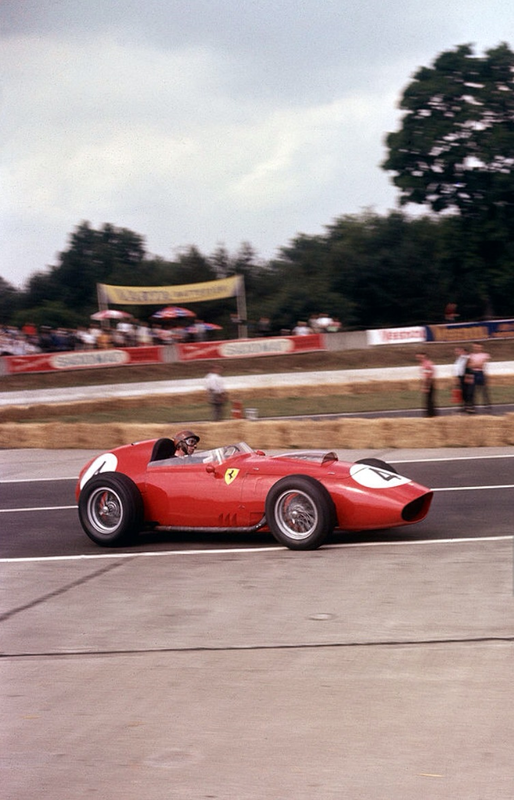 Perhaps the reason is that it isn’t the car he raced! Sunday was wet, Jimmy ran away with the race from grid #2, Mike was 7th from grid 12. 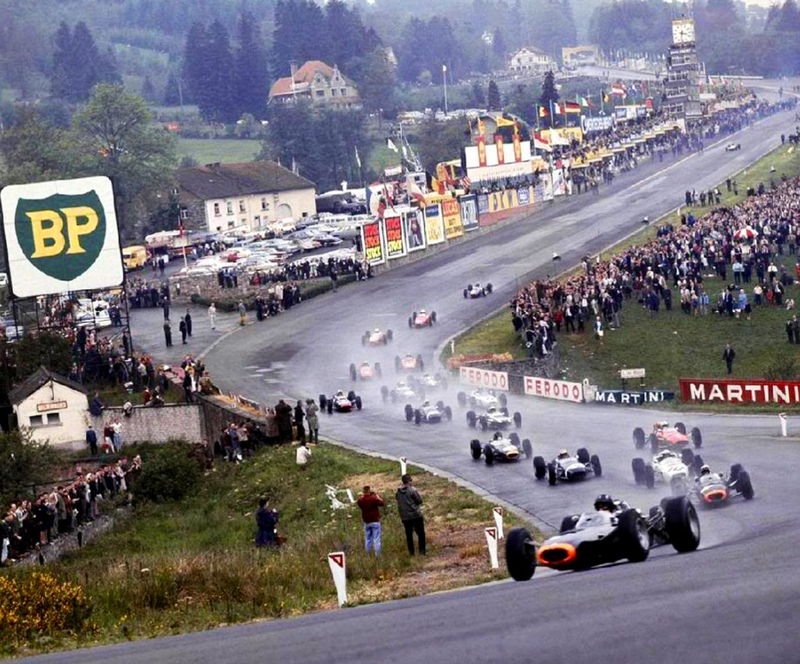 Graham Hill started from pole in his BRM P261 but finished 4th, Jackie Stewart was 2nd in the other BRM and Bruce McLaren 3rd in a Cooper T77 Climax. Posted: September 15, 2017 in Features, Who,What,Where & When...? The first of these events run by the Automobile Club of South Australia (ACSA) was held a year before, on 17 December 1904. 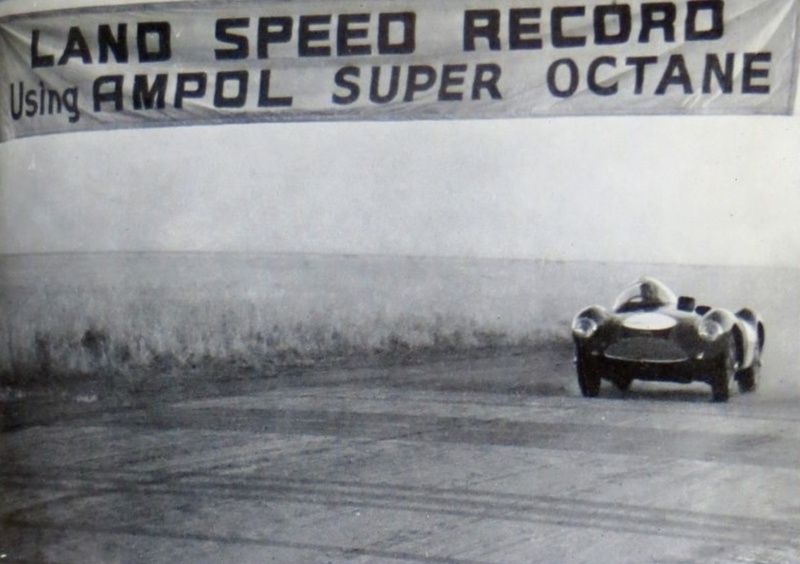 I was terribly excited at finding a shot of a competitor in the first hillclimb in SA, but upon further research it appears the superb photograph is from the 1905 event, the second of three, the final in-period event being held in 1906. The photo took my breath away, there is so much going on. 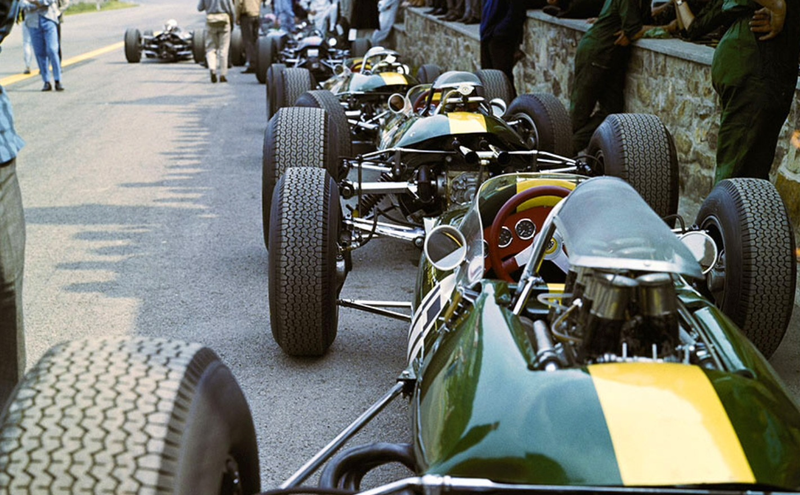 I find fascinating the clothing and attire of the drivers, officials, kids and teenagers. Love the deer-stalker hat and pipe of the dude on the left. The officials with writing pads are HR Harley and HR Hammer- do let me know if any of you are related to them. 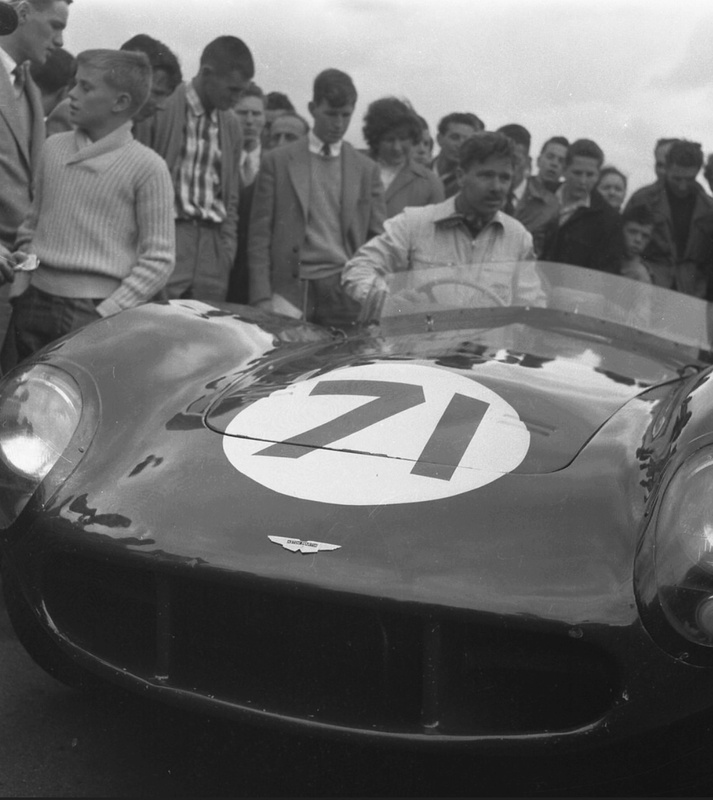 The Steward at the start line is the Club Secretary RJ Hancock, perhaps he is the fella to the right of the car? The competition was held in ideal Adelaide summer weather with what slight wind there was, blowing down the hills, perhaps impacting times slightly. Bungey’s time for the 4 mile journey from the East Torrens Hotel at Magill (corner of what is now East Street and Magill Road) up into the Adelaide Hills finishing line at the White Gate, Norton Summit, was 42 ½ minutes which suggests he was either incredibly slow or had some type of mechanical drama. Woodman completed the distance in 30 min 7 seconds. Fastest time of the day, to use modern phraseology, was recorded by ES Rymill’s Darracq 15HP who did a time of 9 minutes 10 seconds. 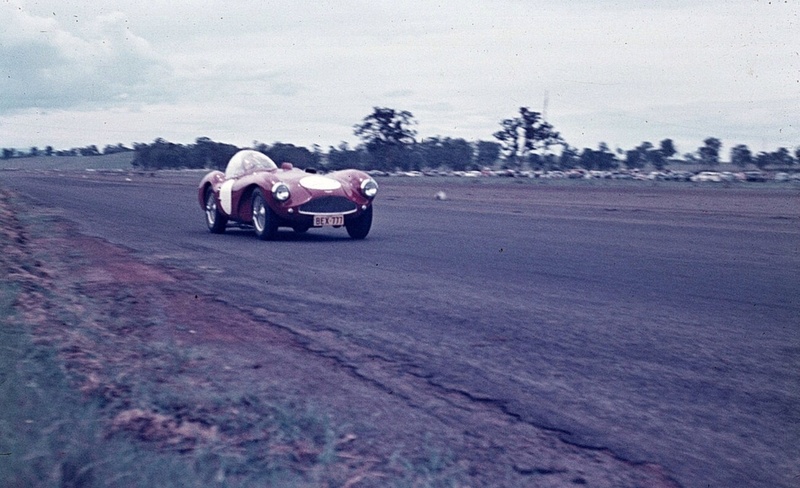 So keen was Rymill to win the event that his car was rebuilt, ‘like many cars it had been dismantled for the occasion’. Great to see the competitive spirit from motor racing’s most formative stages in South Australia! 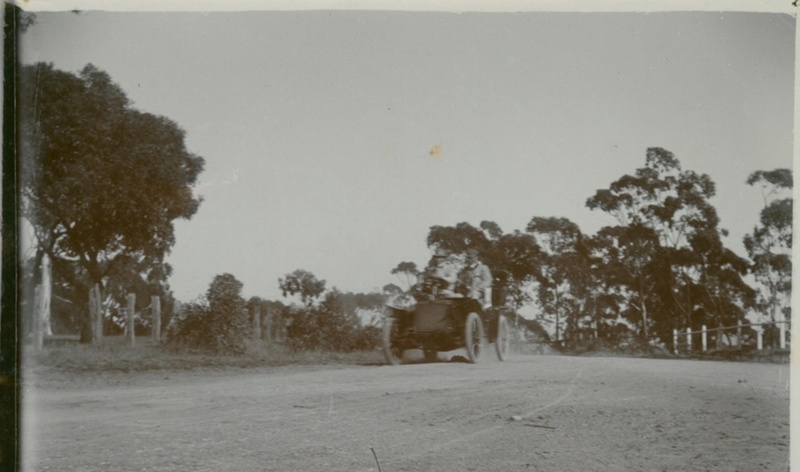 Pictured below are the Rymill brothers, notable pioneering South Australian motorists, aboard their fast Darracq at the top of Belair Hill on the way to Victor Harbor during the ACSA Reliability Trial held during Easter 1905, 21 and 22 April. 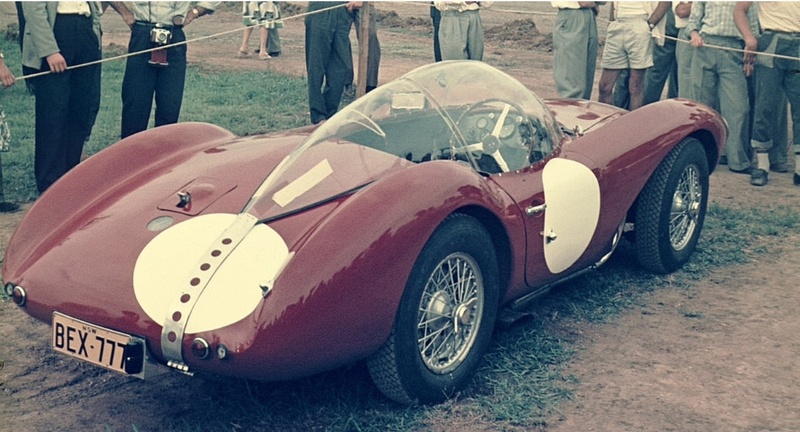 These type of reliability events were very popular in Australia in the early years of motoring with this one the first organised by the ACSA. Adelaide’s ‘The Advertiser’ newspaper characterised communal views on the car at the time: ‘The average citizen considers that the principal characteristic of a motor car is its fickleness. In his opinion it will go sometimes, but often it will not go. To disabuse people of this erroneous idea the club inaugurated the trial, which has had the effect of proving that as a general rule the motor car is reliable, and, considering the distance covered at a high speed was 228 miles, there were comparatively few mishaps, and all of those were of a trivial nature. 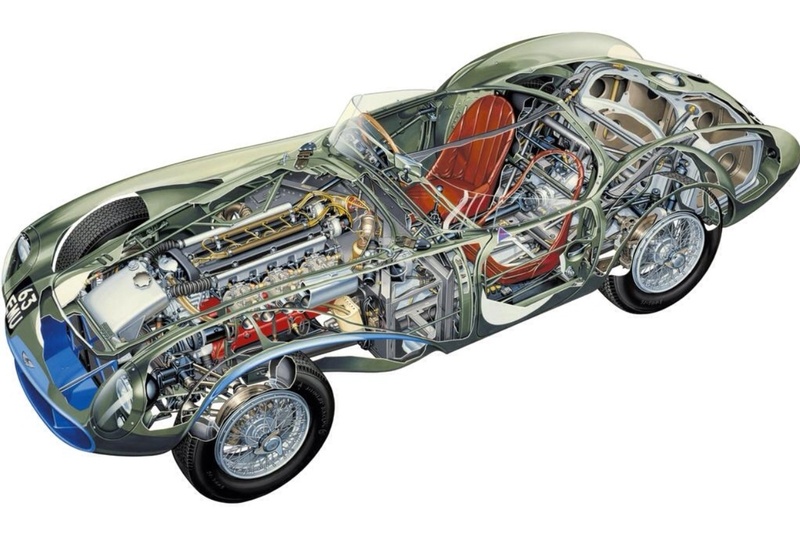 Of the 14 cars which competed seven (including the Rymill Darracq) succeeded in accomplishing the entire 228 miles, constituting a very severe test, within schedule time, and gained the full number of marks’. 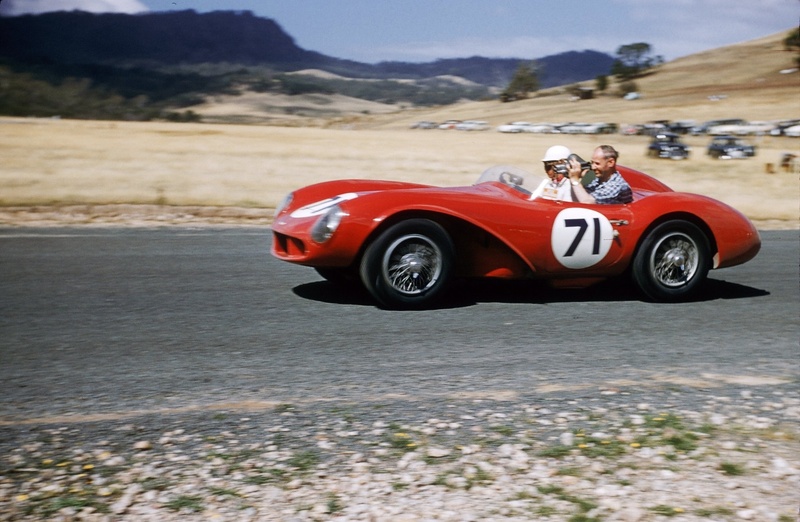 This trial comprised two legs, the first of 120 miles on Good Friday from Mitcham, an Adelaide suburb to Victor Harbour, site of the 1936 South Australian Centenary Grand Prix aka ‘1937’ Australian Grand Prix held in December 1936 on the Fleurieu Peninsula. On the Saturday, 108 miles were covered from Adelaide to Mannum. 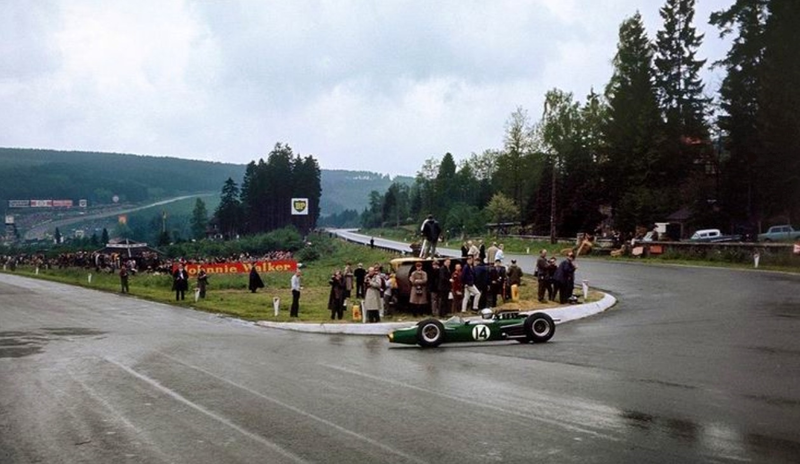 Twenty one cars and five motor cycles contested the Norton Summit Hillclimb with the competitors arranged in classes according to their quoted power ‘and sent away at different times to obviate passing each other’ with ‘officials stationed at all the sharp curves on the road’. The quickest bike was N Jackson’s 2.5HP water-cooled Lewis, his time was 10 minutes 6 seconds. The Advertiser’s report notes ‘There was not one breakdown or mishap, which speaks volumes for the excellence of the cars owned by South Australia’. 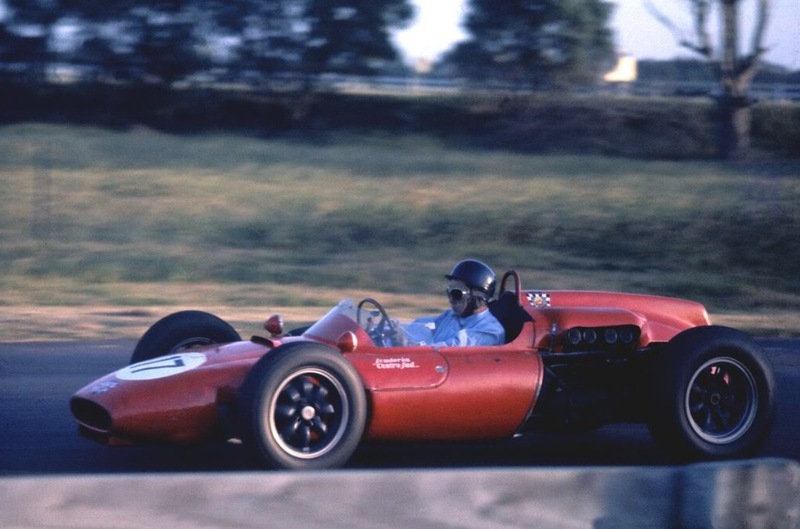 Just a brief note to put these early, formative motor sporting contests into the broader framework of motoring competition in Australia at the time. When I wrote about Australia’s first ‘Motor Car Race’ at Melbourne’s Sandown Racecourse on 12 March 1904, (link below) respected Australian motor racing historian/author/racer John Medley said ‘that was brave!’ meaning the topic is somewhat contentious. It would be great to hear from others who may feel an event other than the Sandown contest was the first.When was the first ‘race’ in New South Wales for example? In South Australia, for the record, it appears the first hillclimb, legal one anyway!, was the 17 December Norton Summit event on Saturday 17 December 1904 and the first ‘car race’, ‘where motor cars take the place of horses, and race in competition at their top speed’, was held at Morphettville Racecourse, 10 Km from Adelaide on Saturday 12 November 1904. 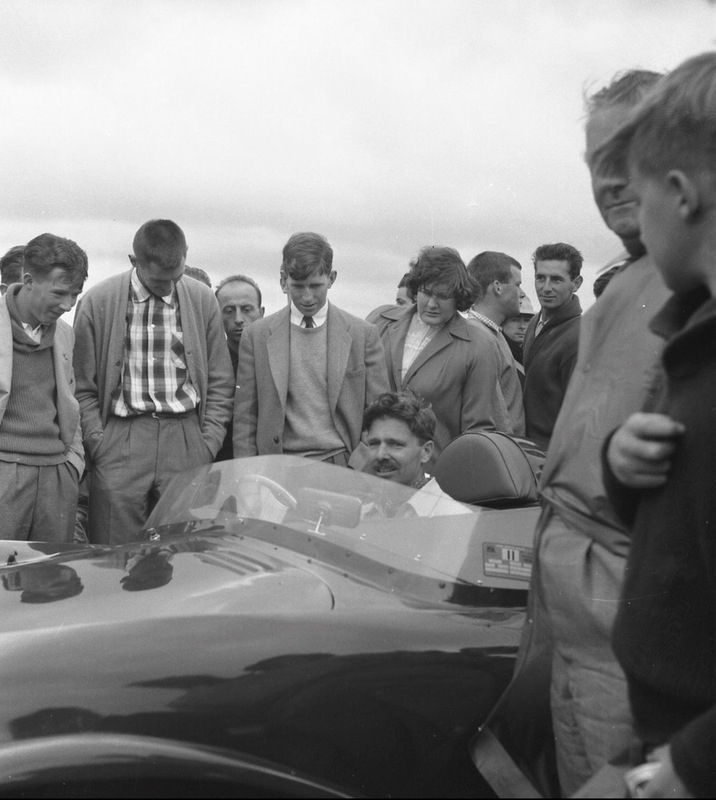 This meeting was also promoted by the Automobile Club of South Australia. FS Rymill had earned the nickname from Adelaide tram and cab-drivers of ‘The Flying Dutchman’ for his fast driving exploits in traffic. 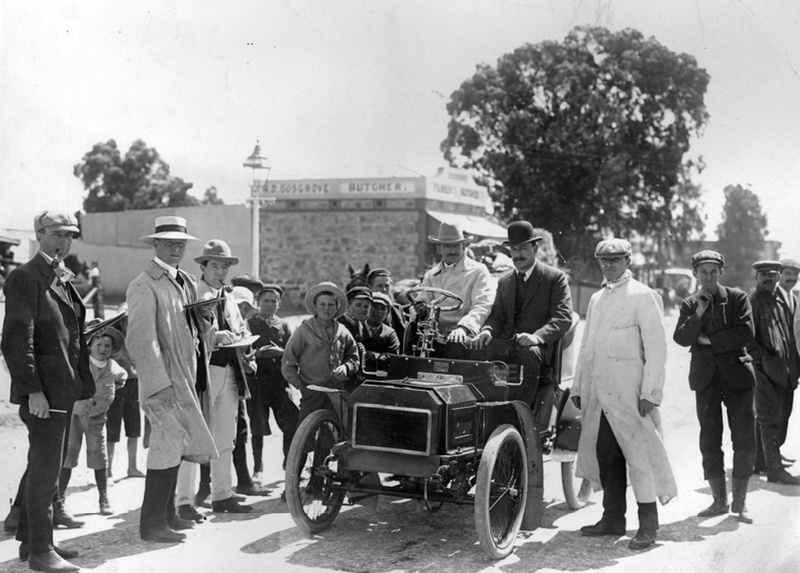 He and his Darracq 15HP were the stars of the show that Morphettville November day winning the 3 mile ‘Tourist Car Race’ from scratch, in this race a full complement of passengers were carried averaging at least 10 stone or over in weight. Rymill then won heat 1 of the ‘Starting Competition’ (starting the car by handle and then racing) and finally the 3 mile ‘Heavy Car Race’. Perhaps the latter was the premier event of the day, where Rymill again won off scratch from the De Dion 12HP of A Allison and De Dion 8HP of Dr Gault. Born in 1879, Rene studied at the famous Ercole des Beaux Arts in Rue Bonaparte, Paris initially studying architecture but later switching to graphic art and ceramics courses. 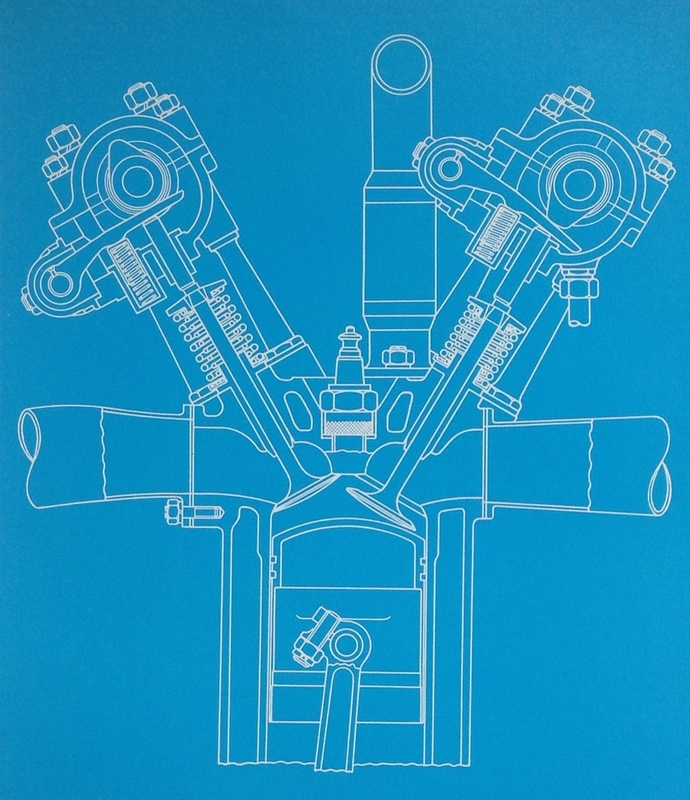 He later contributed fashion illustrations to some of the best known magazines of the day and designed a swag of advertisements and posters for Bugatti, Peugeot, Michelin and Shell. Most of his work was in the art deco style for which he was noted. 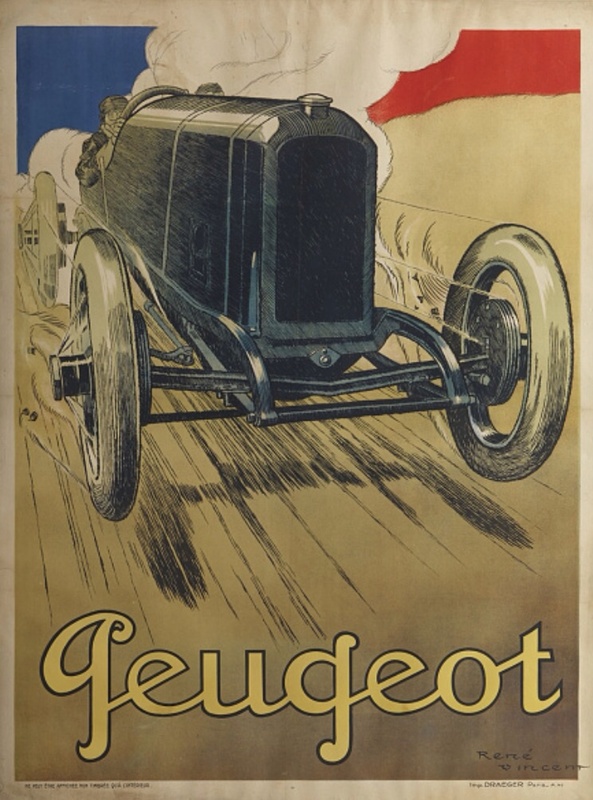 Rene was a keen automobilist and said to be one of the first Parisians to have both a drivers license and a garage to house his car, clearly his graphic design endeavours were lucrative, he died in 1936.